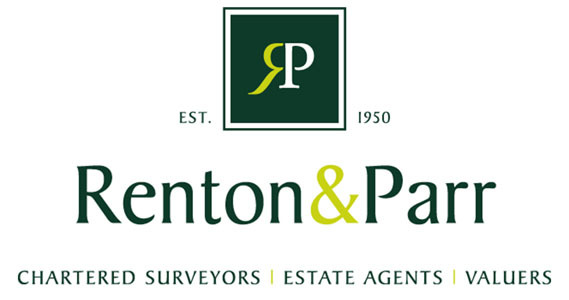 Ideal first time buyer/investment property. In need of modernisation a two bedroom semi-detached house with off-road parking and manageable gardens. No upward chain. BRAMHAM Bramham is renowned for its historical park and annual horse trials but also for its ease of access for commuting. Situated almost midway between Leeds, York and Harrogate and London and Edinburgh. The A.1. is readily accessible with the A64 and A1/M1 link road only some 5 miles. Rail connections are available in both Leeds and York with Leeds/Bradford Airport and North Sea Ferries at Hull also within car commuting distance. The Market Town of Wetherby offers excellent shopping, schooling and sporting facilities including swimming pool and golf courses and the village has its own school, shop, public houses, parish church and garage. DIRECTIONS Entering Bramham village from the direction of Clifford. 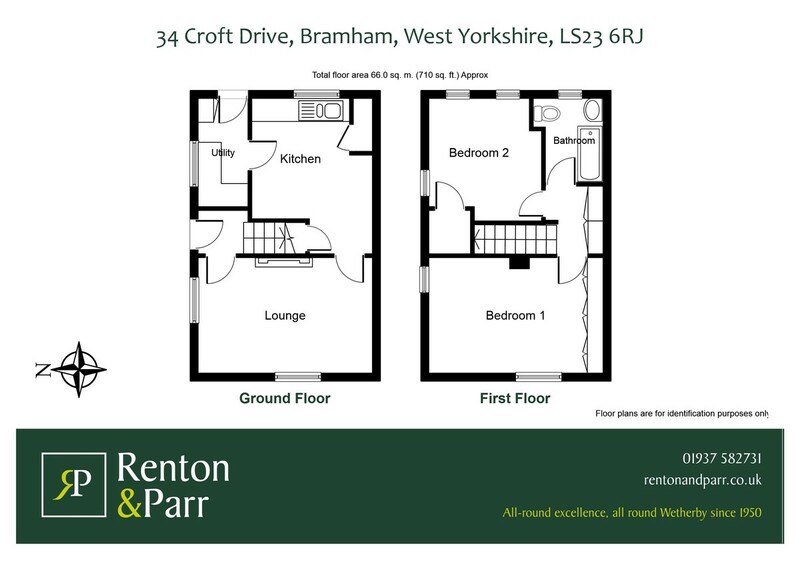 Passing Bramham primary school on your right, take the next right turning into Lyndon Road and first left into Croft Drive where the property is identified on the left by a Renton & Parr for sale board. GROUND FLOOR Side entrance hall with UPVC entrance door, Dimplex heater, staircase to first floor. LOUNGE 14' 10" x 9' 10" (4.52m x 3m) Secondary double glazed windows to front and side elevation, gas fire and night storage heater. KITCHEN 13' 5" x 10' 4" (4.09m x 3.15m) max With a range of wall and base units including cupboards and drawers, work surfaces, part tiled walls, one and a half bowl sink unit with mixer taps, plumbed for automatic washing machine, shelved pantry, understairs storage cupboard with electric meters, main multi-point domestic hot water heater. Secondary double glazed window to rear. UTILITY ROOM 9' 6" x 4' (2.9m x 1.22m) With wall and base units, worktops, space for cooker, secondary double glazed window, cloaks cupboard, back door. LANDING Loft access, two built in cupboards. BEDROOM ONE 13' 3" x 9' 10" (4.04m x 3m) To face of wardrobes, fitted to one wall with cupboards above, double glazed windows to front and side elevation. BEDROOM TWO 10' 3" x 9' 7" (3.12m x 2.92m) With Baxi Brazillia gas fire, separate Creda night storage heater, double glazed windows to side and rear elevation, walk-in wardrobe. BATHROOM 7' 1" x 5' (2.16m x 1.52m) Part tiled walls, three piece white suite comprising panelled bath with Triton T70 shower above, pedestal wash basin, low flush w.c., double glazed window, Xpelair, electric slim-line heater. TO THE OUTSIDE Gravelled driveway parking to front with low brick boundary wall, wrought iron gates, separate hand gate and path. Paved area to the side with asbestos shed. The rear garden is also low maintenance on two levels, laid mainly to paving providing patio and drying area. Garden shed. Outside water tap and lighting.